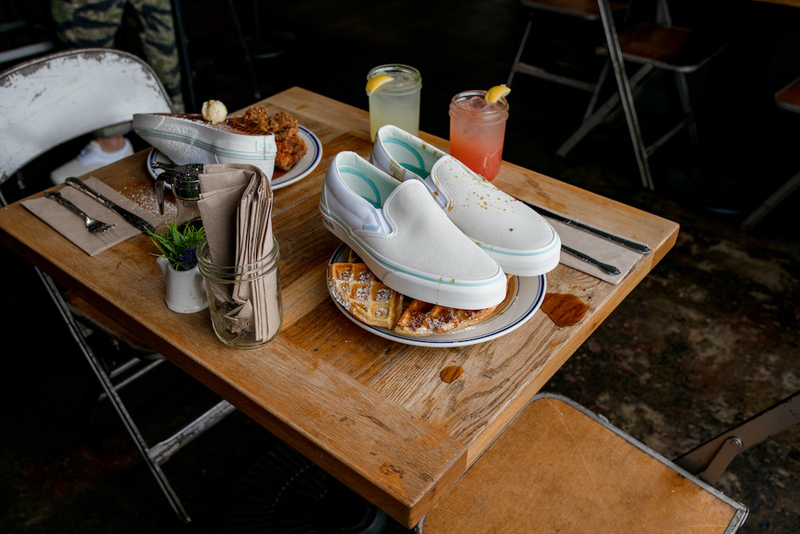 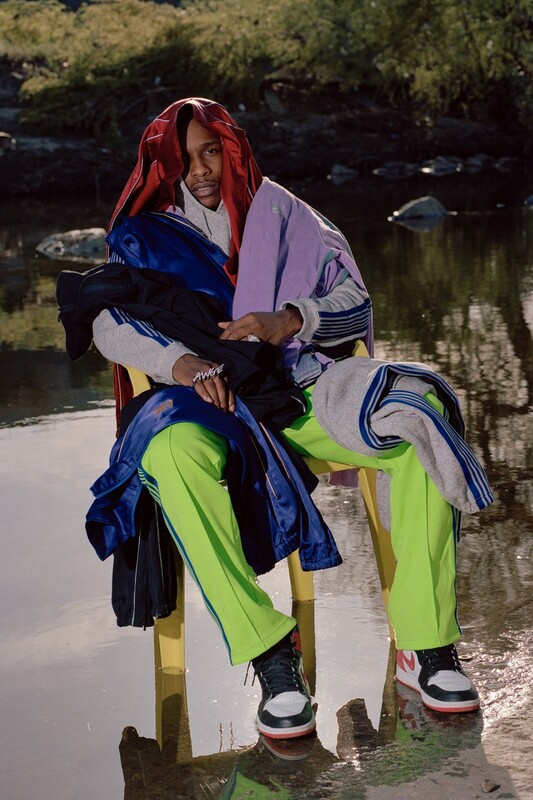 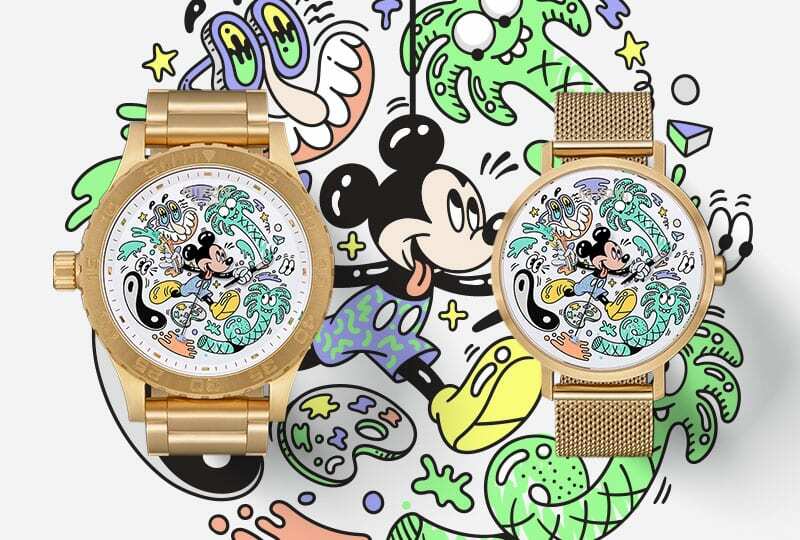 After collaborating with Kappa on a sportswear set in tribute to the 90th anniversary of Mickey Mouse’s creation, Disney is extending the celebration even further by tapping Nixon and Los Angeles-bred artist Steven Harrington for a set of super lux timepieces. 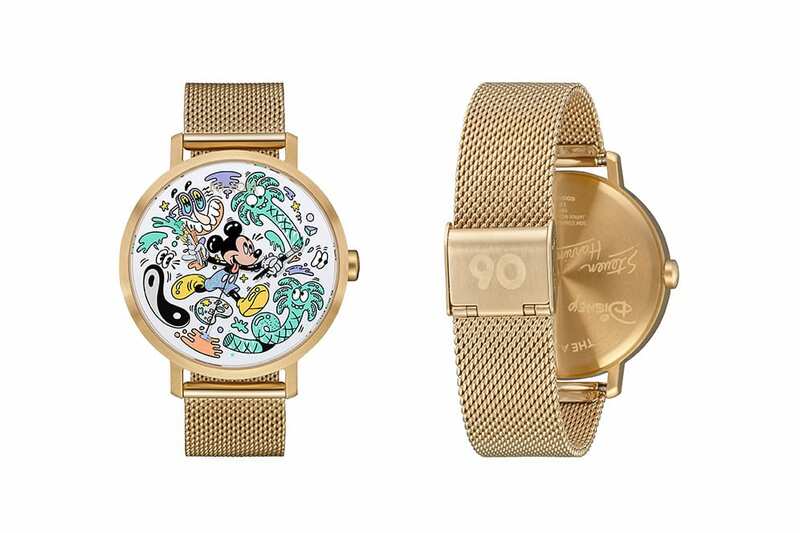 Similar to the Damien Hirst x Swatch watches we recently saw, another collection made in honor of Walt Disney’s beloved mascot, the “Mickey the True Original” campaign seen here serves up gold versions of Nixon’s popular Arrow Milanese and 51-30 models. 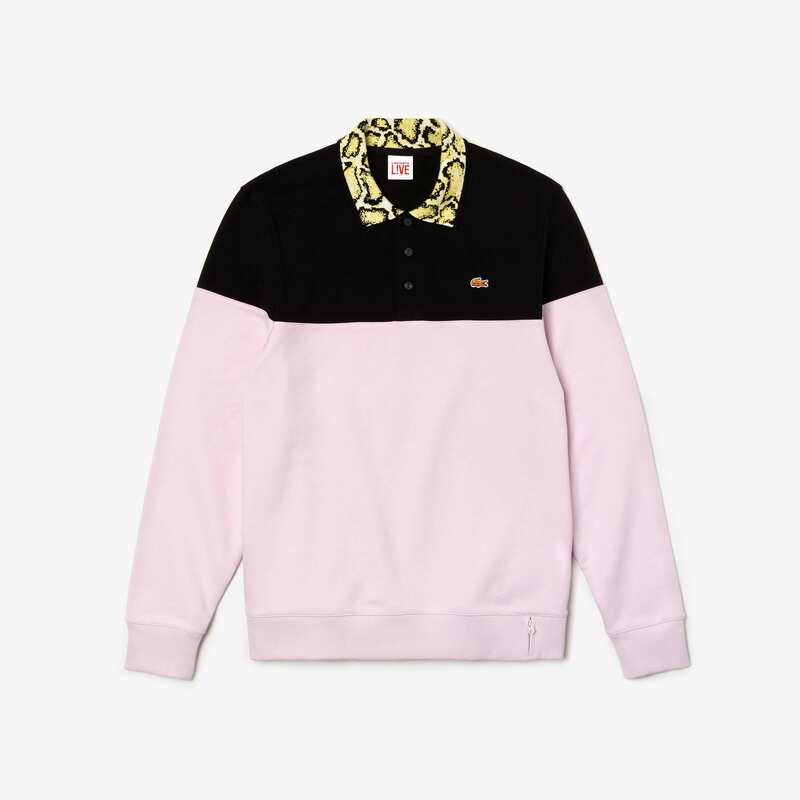 Harrington’s signature art figures that we saw pop up previously in his AAPE by A Bathing Ape capsule are featured here as well, etched around the dials in a vibrant color palette. 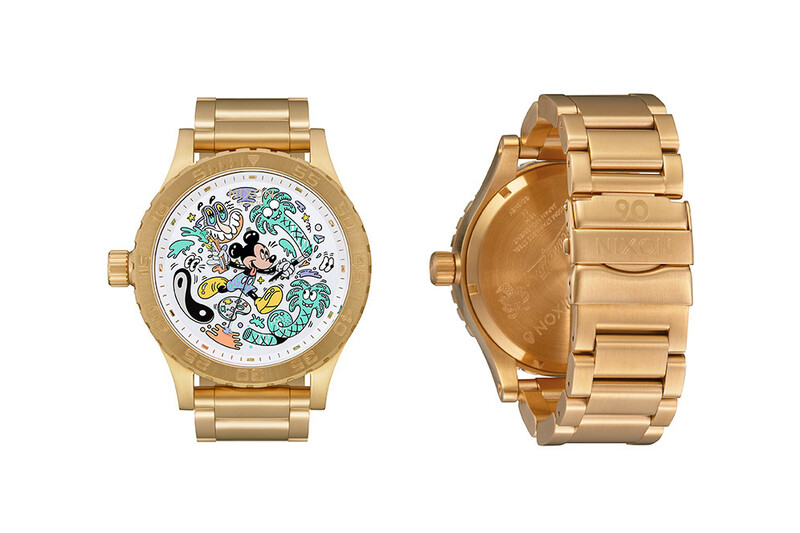 Our boy Mickey Mouse is clearly planning on tunring this into his birthday month, and who could blame the old chap — he’s making 90 look good! 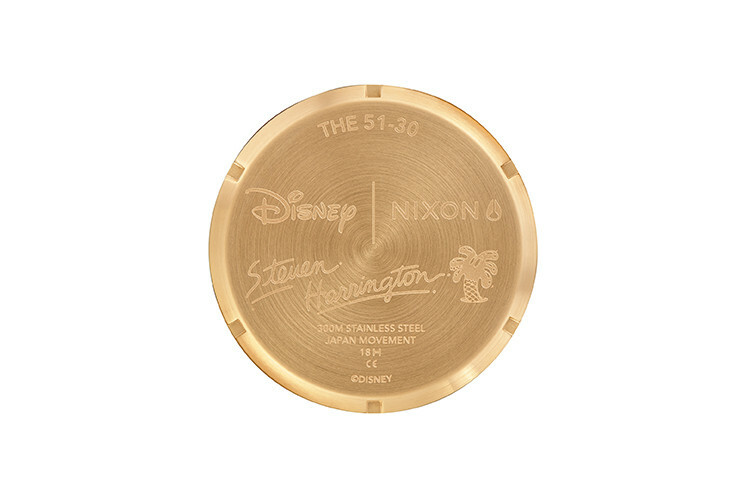 Pick up both the Arrow Milanese ($275 USD) and 51-30 ($750 USD) in the Steven Harrington x Disney x Nixon “Mickey the True Original” campaign right now at select dealers, but only for a limited time; only 100 units were made for each watch, which will come numbered on the casebook.